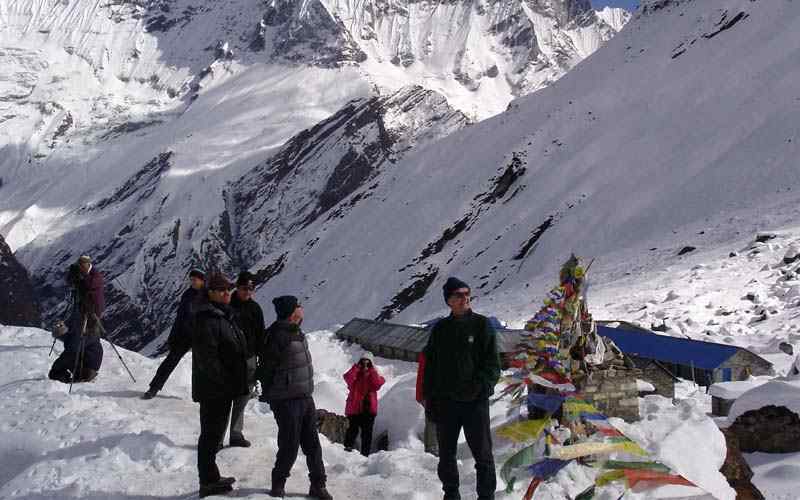 Ladakh Valley Trek is an very popular trekking destination of India, Tour starts with interesting old historical monuments in Delhi and magnificent Taj Mahal at Agra. You can experience views of Saser Kangri (7,672 m-25,171 ft), the highest peak around Ladakh and Zhanskar range of mountains with Stok Kangri at 6,121 m-20,082 ft, and notably Kang Yatse (6,400 m-20997 ft) The trek crosses the Kongmaru La at (5,150 m-16,896 ft), the highest pass on this trek. The walk passes through Hemis National Park, created to preserve the endangered snow leopard and other wildlife, and finally brings you to Hemis, the richest and most famous monastery of Ladakh, and the end of this fascinating trek. Ladakh, located on North of India within the state of Jammu & Kashmir, the only Buddhist religion province, in a Muslim dominated state. An amazing country where the northern border straddles with Tibet, China and towards North West with Pakistan. Ladakh, a high-altitude desert country, is sheltered from rain shadow of Indian monsoon by the barrier of the Great Himalaya, with occasionally stray monsoon clouds finding their way over the Himalaya. Ladakh lies at altitudes ranging from about 2,750 m-9022 ft at Kargil to 7,672 m-25170 ft at Mt. Saser Kangri in the Karakoram with summer temperatures rarely exceed about 27º C. in the shade, while in winter they may plunges to -20º C. even in Leh, the main town and capital of Ladakh. Trekking in Ladakh is a remarkable experience, one does not need to be physically fit; but determination and interest can take part in short trekking around Ladakh, some of places might be tough with high passes and long walks on the dry arid terrain and windswept landscapes. However, days are lovely with warm, and even hot, due to the desert effect of the barren landscape; evenings can become chilly. Trexmount Ventures to Ladakh Markha Valley with tour of Delhi / Agra tour begins after your arrival in Delhi via respective countries and airlines. In Delhi our guide will take you on a tour on this city steeped with old history from Mogul period visit of Red Fort, Qutab Minor and Delhi Gate and the colorful bazaar around Old Delhi, the symbol of old India and new? Even the stones here whisper ages of long ago and the air is full of the dust and fragrances of the past, as also of the fresh and piercing winds of the present. From Delhi, next adventure starts with a short flight to Leh in Ladakh at 3,450 m-11318 ft, a Buddhist religion province, sandwiched between Muslim State of Kashmir which borders Pakistan and Tibet. In Leh with an acclimatization day tour monasteries and ancient fort Dzong palace and the interesting market areas. 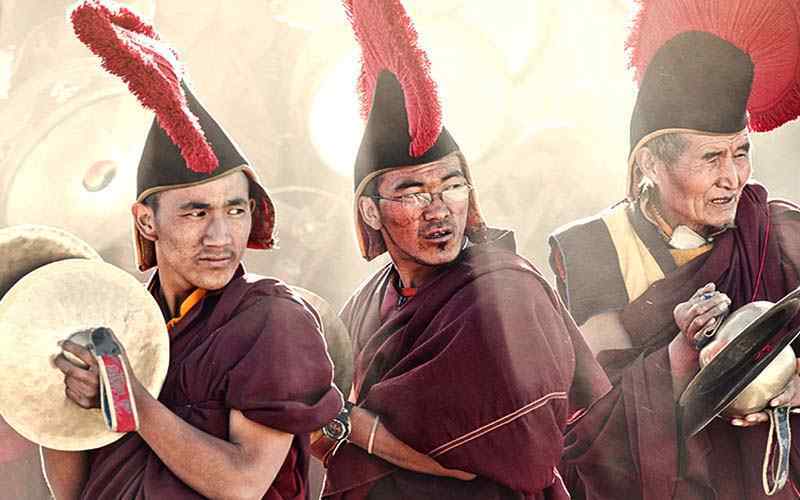 Here you can observe the local Ladakh people with their daily life, with their culture, customs, traditions similar to Tibet in Buddhist religion also. The Markha to Himis trek is one of the most beautiful walking journeys. Difficulty rating is moderate to adventurous on account of high passes on trekking route, including an exciting crossing of Zanskar River by trolley at the village of Chiling. Trek leads through several villages in the Sham and Markha valleys, passing many chortens and mani (prayer) walls, but mostly through remote areas. At the start of this adventure visit the oldest monastery of Ladakh at Lamayuru, which is regarded as the most stunning in terms of its site and excellent vista. 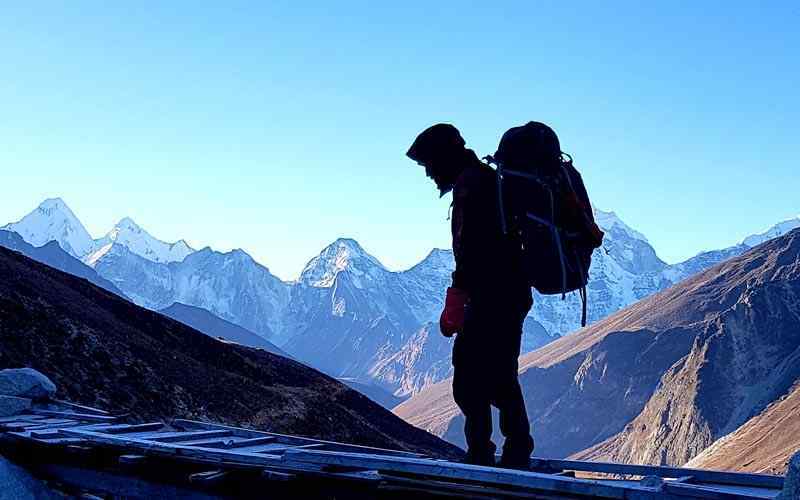 On this wonderful adventure, trek leads over the highest point of this trip at 5,270 m-17290 ft at top of Kongmaru-La and then concluds at Hemis after Martselang village. From here drive to Leh for last overnight in Ladakh before flying to Delhi and then to respective destination. Day 03: Fly to Leh (3,450 m-11,319 ft) and transfer to hotel. Day 04: In Leh sightseeing tour at places of interest. Day 05: Drive to Spituk (7 km) and trek to Zinchen (3,545 m-11,630 ft) - 06 hrs. Day 06: Trek to Yurtse (3,720m-12,204 ft) - 06 hrs. Day 07: Trek to Skiu (3, 500 m-11,483 ft) -06 hrs. Day 08: Trek to Markha (3,755 m-12,320 ft) -07 hrs. 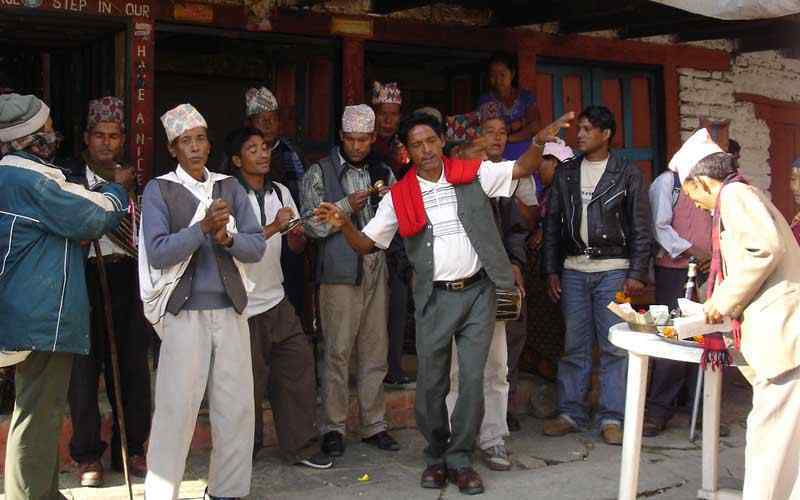 Day 09: Trek to Tahungtse (4,350 m-14,272 ft) - 06 hrs. Day 10: Trek to Nimaling (5,000 m-16,404 ft) - 05 hrs. Day 11: Rest day in Nimaling for local hike. Day 12: Trek to Chyuskarmo (4,645 m-15,240 ft) via Kongmaru-La (5,270 m-17,290 ft) – 07 hrs. 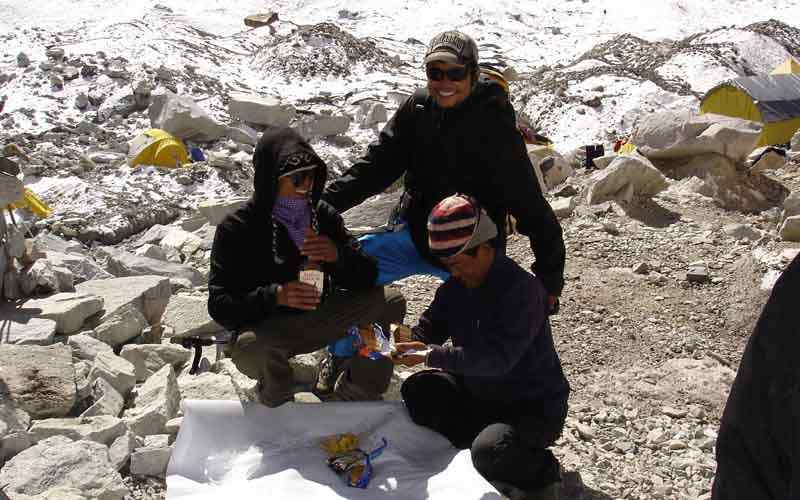 Day 13: Trek to Martselang or Hemis (3,692 m-12,112 ft) - 06 hrs. Day 14: Free day in Leh at leisure. Day 15: Fly to Delhi and transfer to Agra - 04 hrs. Day 16: Visit famous Taj Mahal and drive back to Delhi. Day 17: Departure Delhi for international flight homeward bound. Morning after breakfast as time set for the sightseeing tour, our city guide will lead you for few hours in our fascinating heritage and cultural tour around places of interest, tour Quatab Minar, India’s Gate, Red Fort with old historical Palaces and courtyard; and then head back to hotel after the wonderful tour with afternoon free for individual activities and preparation for journey to Ladakh. Morning after breakfast depart Delhi for the short scenic flight to Leh, Ladakh. During the flight take-in an awesome panorama of the great Western Himalayan range of mountains with Zhanskar Himalaya, which forms the backdrop of the Ladakh area. Upon reaching at Leh at the height of 3,440 m-11286 ft, be received by our native Ladakhi guide from our counter agent in Ladakh. Transfer to hotel in the hub of Leh, with afternoon relax and explore the local market. A necessary rest day in Leh with an elevation of 3,440 m-11286 ft for acclimatization before starting the trek to Markha valley. Visit the interesting main bazaar on the street where colorful local ladies sell fruit and vegetables. The streets are busy with roadside restaurants, cafes and craft shops.Visit of old Leh Palace stands on top of a high hill overlooking the Leh city and its valley. From here tour White Peace (Shanti) Stupa and to the world’s highest Polo ground. Time permitting visit the old Ladakh capital at Shey and its fort, Thiksey Monastery. After a wonderful time in Leh, in the morning make a short drive to Spituk following the Indus River which flows from Mt. Kailash in South West Tibet. After crossing the Indus, drive along a bumpy road towards a flat windswept plain to reach at Spituk. 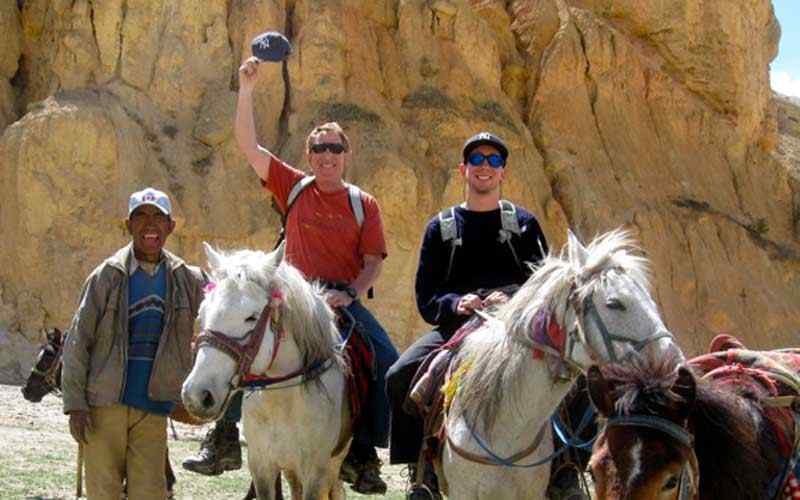 On the drive meet our trekking staffs, mules and ponies to carry camping gears. After sorting out and loading on mules and ponies, start our first day walk following Indus River which leads into a narrow valley and reaches soon to the Hemis National Park. 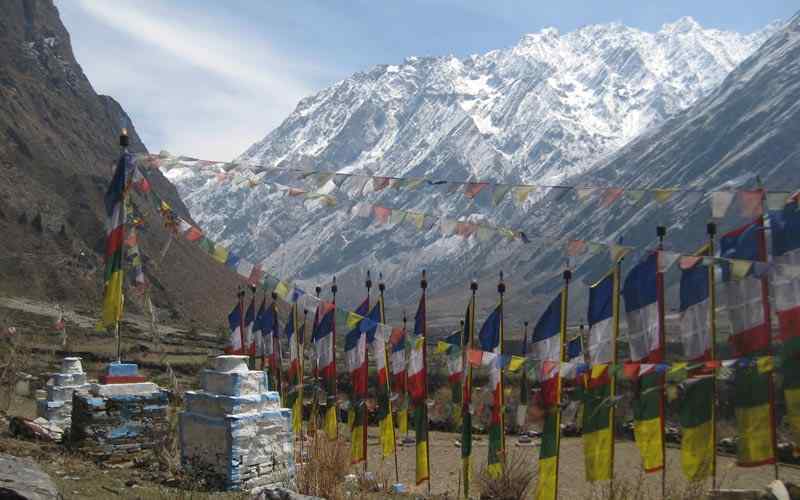 Just a little further come to a chorten, a Buddhist prayer monument festooned with prayer flags. See a wonderful view below of Indus River gorge. Upon leaving Indus River behind head high up the mountains trail along the willow trees to Zinchen gorge (also spelled and pronounced as Jingchan). Walk slowly to reach Zinchen village for overnight camp near the village. The our morning walk starts following Zinchan River upstream as the valley narrows and then passes between two rock buttresses, with wonderful scenery ahead of an impressive jagged ridge top. From here cross several streams and then reach a willow tree plantation, as these are one of the few trees that survive in this cold and arid temperature and landscape. 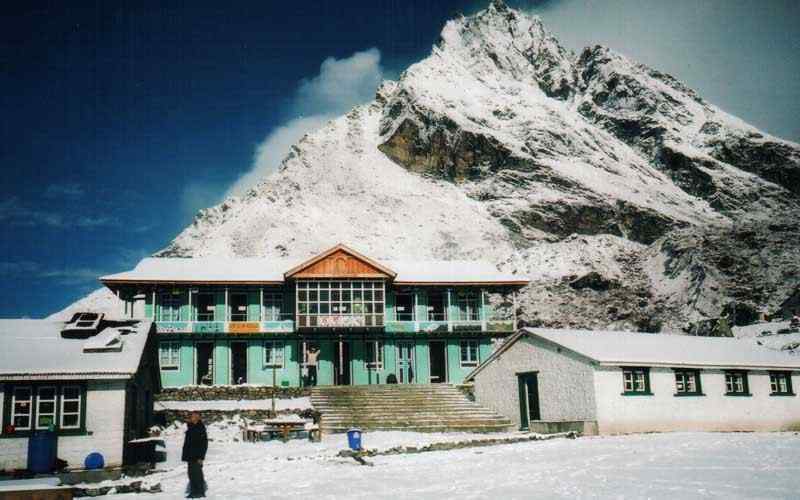 Walk further to Rumbak village (4,000 m-13,123 ft) for a short rest in this small farm areas. The journey continues upstream to cross to opposite bank of the river and then a climbs up to a valley of a subsidiary stream and towards the small settlement of Yurts for overnight camp in this nice summer pasture with Yak and sheep grazing over the yonder. Today be ready for a longer walk due to some high altitude and the crossing of a pass. After breakfast leave the camp. 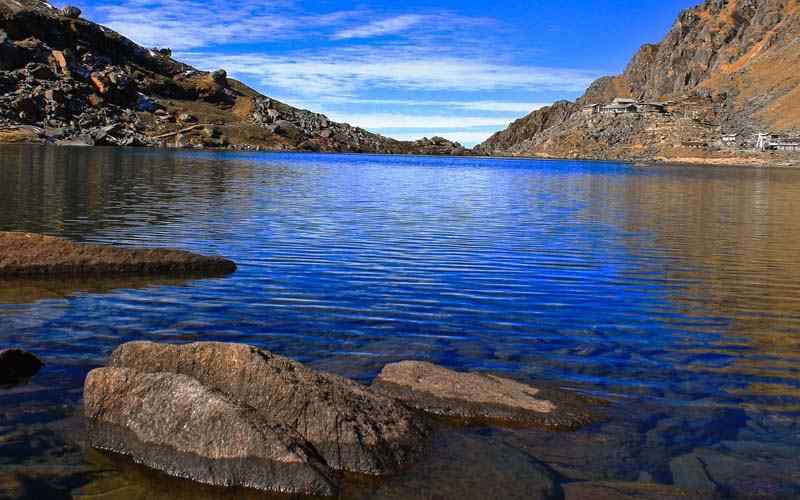 The trek begins with a climb on a steep uphill to reach the top of Ganda-La at 4,878 m-16003 ft. 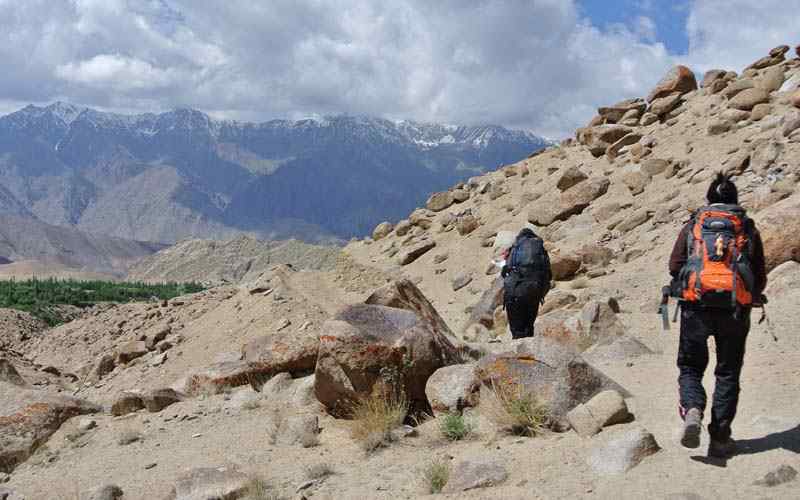 The slope gets gradual as this long climb progress finally reaching Ganda-La with super views of Stok Kangri which dominates the south-eastern skyline along including distant Karakoram mountain range. After a glorious moment walk descend heading towards Skiu valley, where several small creeks joins to form a stream. As the walk continues further it reaches a wide grassy valley and then it narrows sharply at Skiu, a small Yak herders settlement with few houses and farm fields and a lovely spot for overnight campsite after a long wonderful trek of over six hours. The our morning walk leads towards one of the highlight destinations of this adventure. Walk continues to Markha Valley along the Markha River. It is relatively an easy day of trekking. All along the walk experience wonderful scenery of the valley. 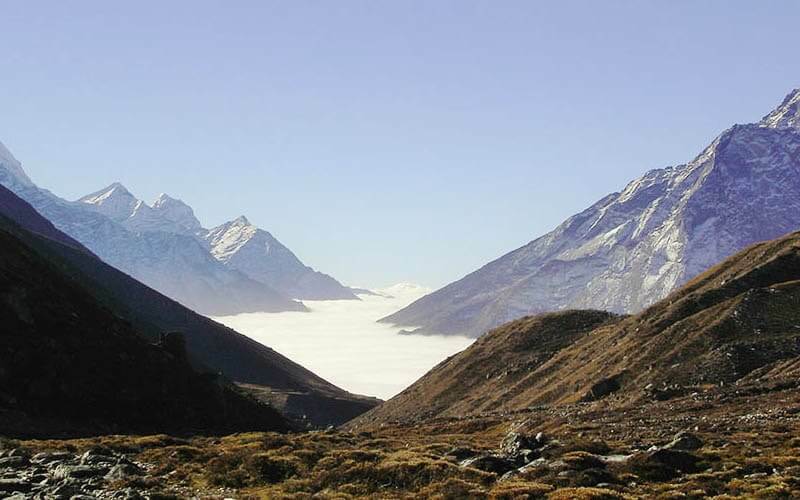 Above the field of Markha Valley, experience a spectacular views of massif Kang Yatse Peak (6,400 m-20997 ft). Finally this nice walk reaches a small village, Markha, with an ancient ruin Dzong (fort) on a hill and a place for overnight camping beneath the fort next to a river on a grassy meadow. From Markha the our morning trek leads to a short climb to the main Markha village. 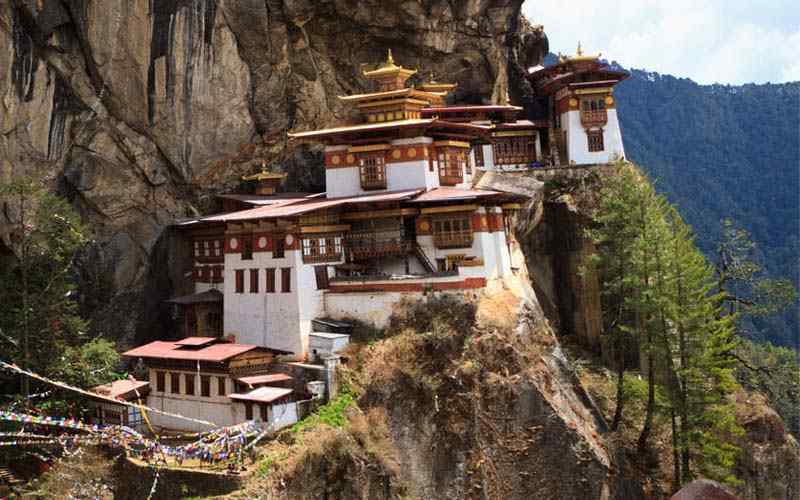 Here with time for rest, visit the small interesting monastery. Walk descend to a river walking along it and crossing it sometimes. Stop at a base of Tetsa Gompa for short rest and probably a lunch break. 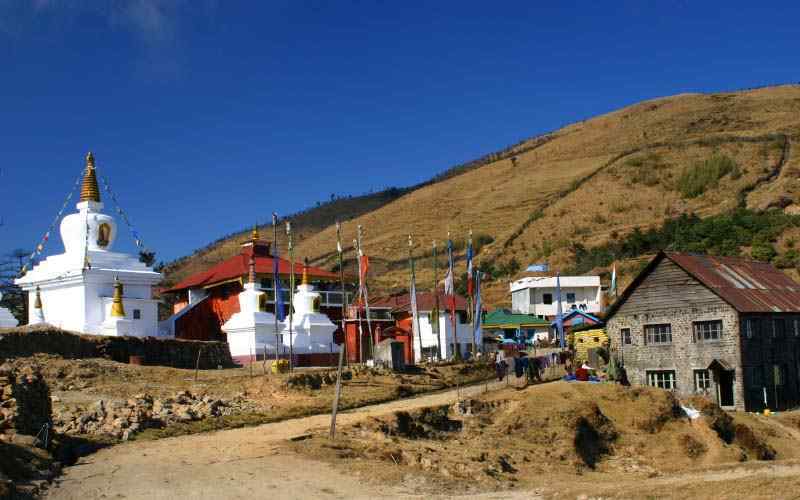 In the afternoon walk on the windswept terrain, passing the Umlung village to reach Thachungtse for overnight camp. Our walk starts following the Markha River again. Spent the whole day with constant views of stunning Kang Yatse peak and walking past several fine mani walls. 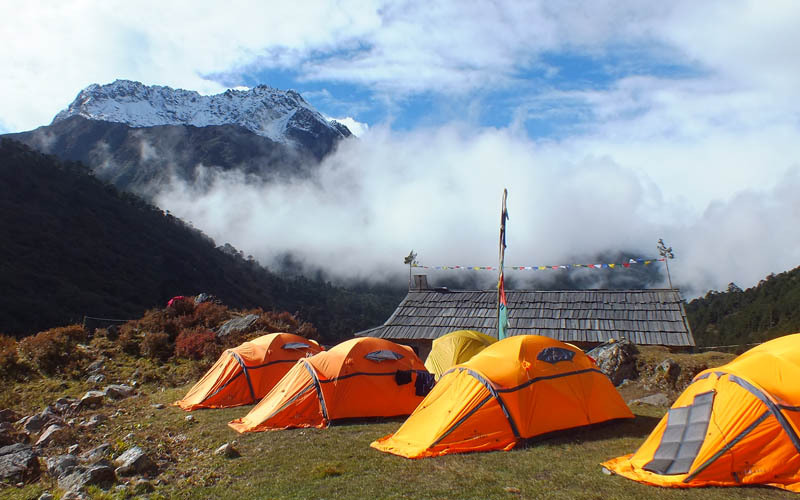 As the trek progresses and just before Nimaling valley opens up, reach a picturesque pasture field where overnight camp is set for two nights. 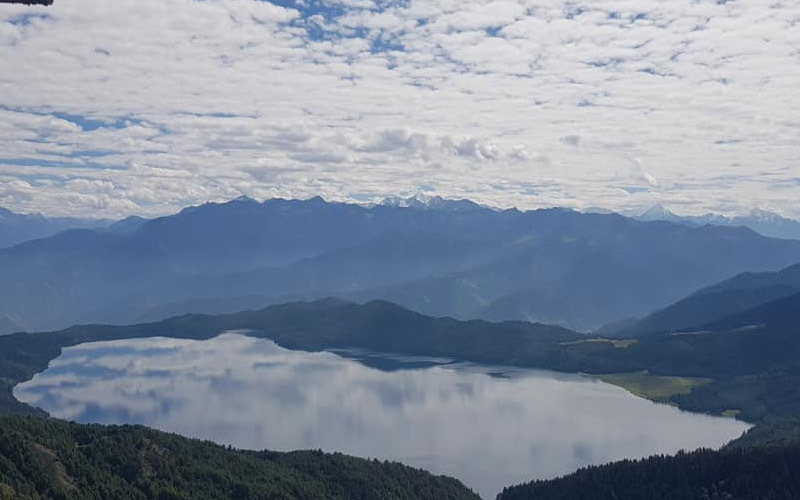 Having a well deserved rest day on the highest camping of this trek, today is free at leisure with an optional hike towards Kang Yatse Glacier after breakfast. 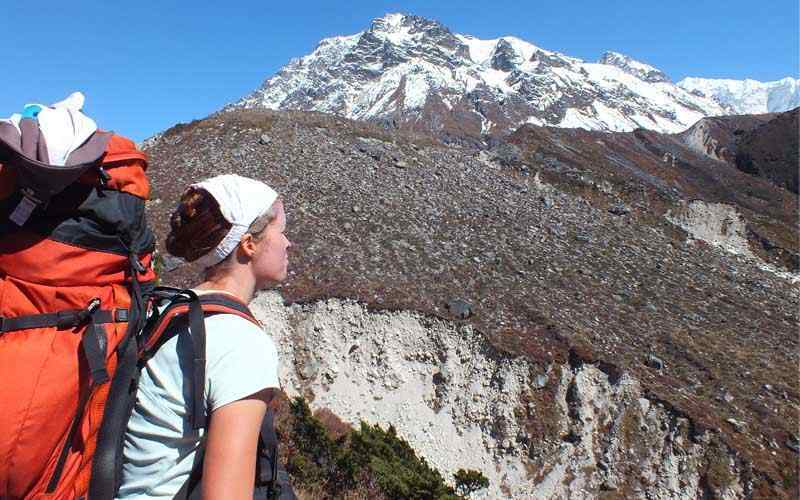 Walk with some climb for a few hours to reach the base of Kang Yatse peak and its glaciers. After a wonderful stop at Nimaling, start our journey across the river with a climb toward Kongmaru La pass at 5,270 m-17290 ft, the highest point of this trip. 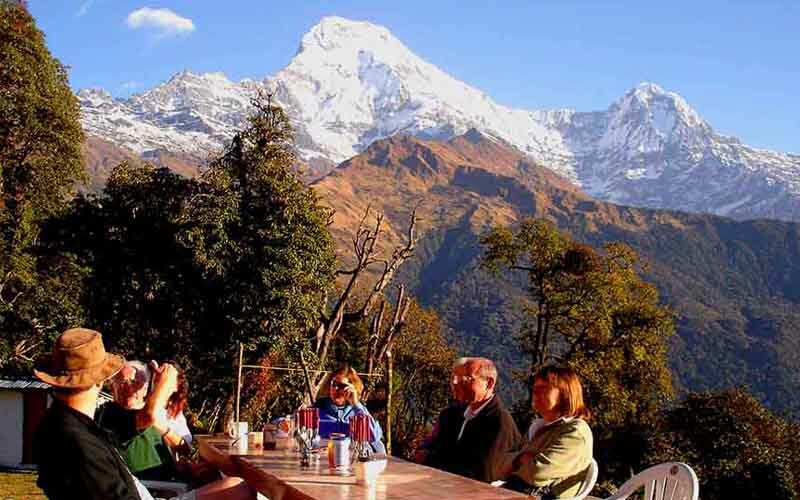 This spot offers striking scenery of valleys and rolling hills, snow capped peaks. From here leave Markha Valley behind. After a rest descend on a steep path where you might see herds of Blue Sheep around this area. The walk finally leads to a small stream to reach our overnight camp at Chyuskarmo or Chukirmo. Near to our camp is a hot spring of a strong sulphur smell with time to visit and get refreshed in the hot natural spring. Today, last day of this amazing trek as the walk ends at Hemis for the drive to Leh. From this nice campsite, in the morning walk towards Martselang stream and then reaching Chogdo, a small Yak herders settlement. From here turn west to enter a valley leading high above Gyuncho La at 4,600 m-1509 ft, the last uphill and the pass of this walk. Continue trekking on a dirt road toward Hemis Monastery. Reach the road head where our transportation will be waiting for an hour drive back to Leh for overnight, with time in the afternoon for short stroll around the market place. A free day to relax and to pull back the strength and muscle after the trekking around Markha valley, today interested people can book for a few hours rafting at Indus River. The afternoon is free for individual activities and souvenir shopping. In the Morning depart from the hotel, our local guide will transfer you to Leh airport for the flight to Delhi and farewell to Ladakh, friendly guides and drivers. Upon reaching Delhi, our Delhi staff and guide will transfer you to Agra with an interesting 4 hour drive of 225 km east of Delhi to Agra. On arrival check-in to hotel and spend rest of afternoon visiting the small narrow street on this beautiful Taj City. Enjoy an early morning tour of world famous marbled Taj Mahal with the Sun Rise. Afterward, return to hotel in Agra for breakfast and then drive back to Delhi for an afternoon with ample time for shopping and for short stroll around the interesting Delhi markets. Morning or evening as per your flight time, our staff or guide will receive you at the hotel for final departure from Delhi and India, after a memorable and remarkable time with us, fabulous destination to Markha Valley & tour of Delhi.